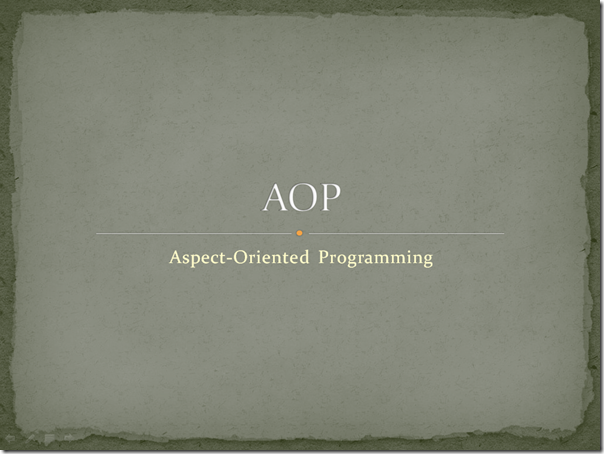 AOP is nothing but hyper, leave it away and embrace dynamic language pls. The idea is OK however. I can accept those like rails filter as an application of AOP — the idea. Hmm, I my self is not willing to apply AOP in a static language. And I think you are considering AOP as a tool to implement some dynamic stuff in static language (am I right?). In my opinion, AOP is the idea of thinking dynamically: When you programming about basic business logic, you don’t care about Logging, Security, etc.